The mechanism of how insects absorb iron from the environment into their cells is still unknown. This process must be regulated because certain forms of iron are toxic to the body, despite iron being used for various processes in both mammals and insects. 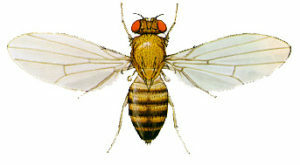 Drosophila melanogaster, a common fruit fly is the insect model that is used to further investigate the iron uptake mechanism.